President Muhammadu Buhari has raised the alarm of alleged fresh threats to the election. The general election in the country is starting on Saturday February 16 with the presidential and national assembly elections. But President Buhari citing the Economic And Financial Crimes Commission (EFCC) revealed that those who have looted Nigeria’s treasury, now with huge resources at their disposal were planning to undermine the credibility of the election through vote buying. 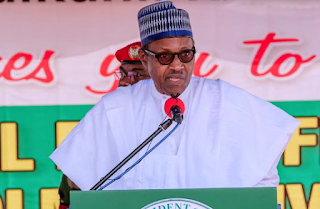 In a statement he personally signed on Sunday, the President urged Nigerians to participate massively in the forthcoming presidential election. According to him, “By way of their looting, the corrupt have powerful resources at their disposal. And they will use them. For when you fight corruption, you can be sure it will fight back. The President promised to end corruption in the country if given another mandate of four years and also promised to follow due process in ensuring that the fight against corruption was fought to the end despite the resistance from those involved in graft.